New York’s Village Halloween Parade is an annual holiday parade and street pageant presented on the night of every Halloween in New York City’s Greenwich Village. Stretching more than a mile, this cultural event draws two million in-person spectators, more than sixty thousand costumed participants, dancers, artists and circus performers, dozens of floats bearing live bands and other musical and performing acts, and a world-wide television audience of one hundred million. 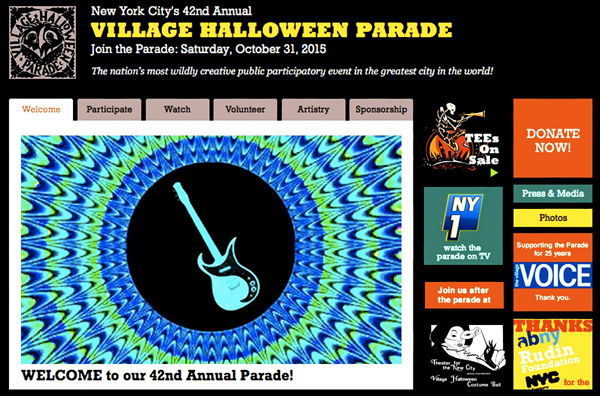 The Village Halloween Parade, initiated in 1974 by Greenwich Village puppeteer and mask maker Ralph Lee, is the world’s largest Halloween parade and the only major nighttime parade in the United States. Among the parade’s signature features are its pageant sized puppets — giant rod puppets “articulated” by teams of puppeteers — and its open participation to anyone in a costume who wishes to march. It has been called “New York’s Carnival.” Although the parade is currently not as informal and wild as it was in its earliest years, it is in effect still an alternative festival. 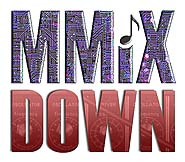 This entry was posted in 1 - MUSIC, 2 - MISE-EN-SCENE, 3 - MOVEMENT, 7 - MIXED MEDIA and tagged #vox, electric guitar, greenwich village, guitars, halloween, korg, korg usa, New York City, NYC, Tilted Axes, tiltedaxes, village halloween parade, vox amps. Bookmark the permalink.